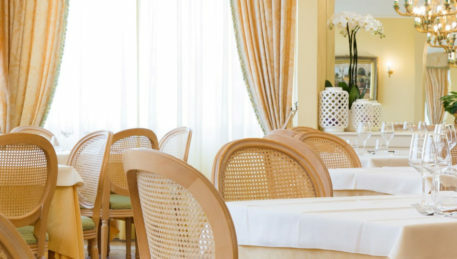 The restaurant provides a warm and pleasant atmosphere where guests will find the atmosphere convivial and friendly. The Veranda Room (Banquet Hall, for up to 100 people) is where during festive events you can enjoy a panoramic view of the Umbrian hills. The room is capable for holding receptions for banquets and ceremonies for up to 200 people. There is also the opportunity to sample some traditional Umbrian dishes. The restaurant kitchen offers typical traditional dishes from the local region. The menu is seasonal with attention to detail on the use and choice of ingredients. Begin the day with a rich and healthy breakfast prepared with only fresh ingredients, together with delicious pastries and homemade cakes. 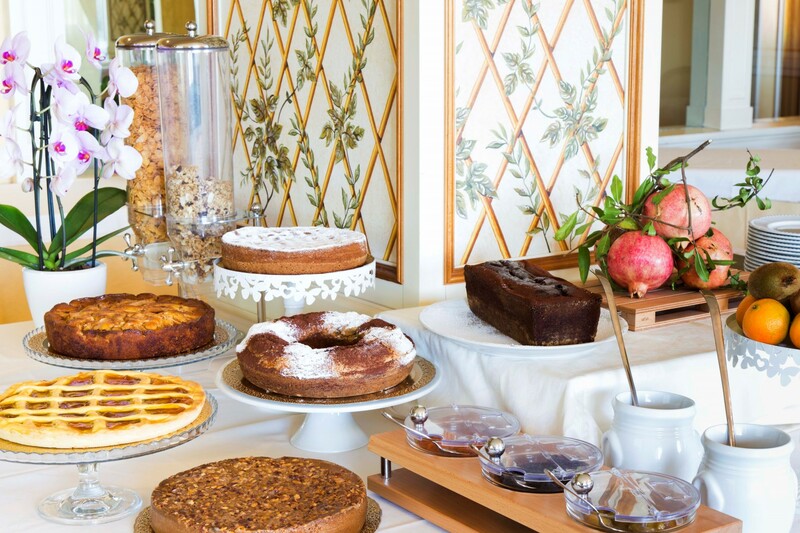 The breakfast buffet is served in a light and spacious room where customers have a choice of savoury and sweet foods, breads, yogurt, cereals, jams, fresh fruit and fruit in syrup accompanied by coffee and cappuccino espresso, American coffee, juices and several types of tea. Hotel Tuder is open all year round, with a lounge equipped specifically for business meetings and conferences. There are two halls for banquets and receptions, with ample parking in our private garage. There is a lounge with televisionor just for relaxed conversation, plus liftsandother facilities catering for the disabled. This clean and comfortable property boasts a very friendly and helpful staff. Liked the northern views of picturesque farmland on rolling hills. There is parking with an elevator and the town is just barely close enough for an uphill walk. There’s a good supermarket next door.The attached restaurant is excellent.Good quality free wireless internet. Could use a little refurbishing and AC was temperamental at times. But would recommend staying here if in the area.